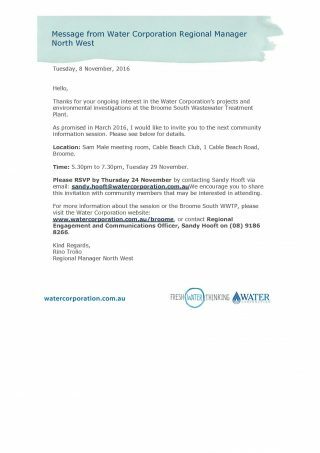 Water Corp are providing an information session on projects to reduce wastewater seepage from Broome South Wastewater Treatment ponds. 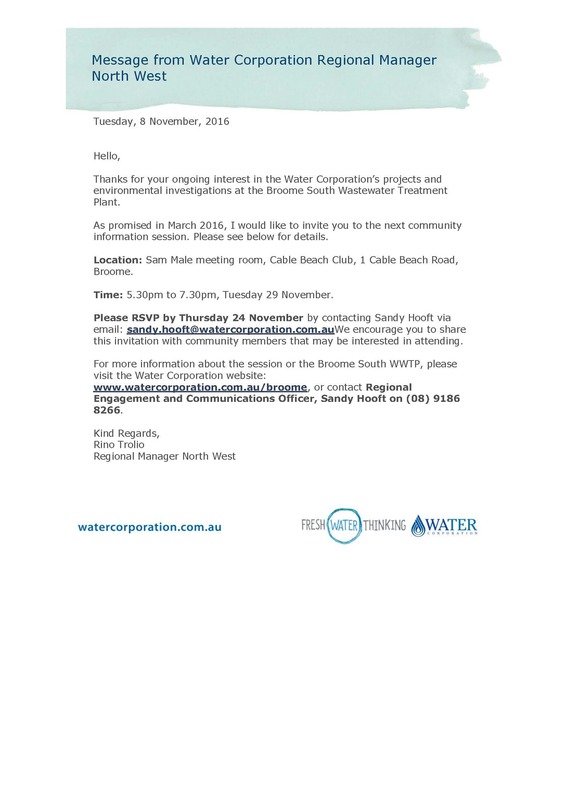 The Roebuck Bay Working Group handed a letter to Minister Davies on Sept 28, 2016 to request the relining of all holding ponds (primary, secondary, tertiary) at Broome South Waste Water Treatment Plant – as a high priority – to halt the seepage of nutrients into Roebuck Bay. The presentation is Tuesday Nov 29, 5.30-7.30pm. This is an important issue for Roebuck Bay’s water quality and marine ecology, so ask any questions you have at the presentation.